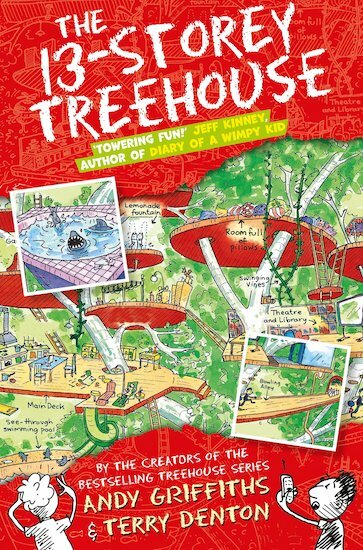 A massive treehouse with more treats and surprises than Mr Wonka’s chocolate factory. Plus thirteen brilliant stories! Lucky enough to have a treehouse? That’s cool – but is yours like this? Andy and Terry’s has a giant catapult, a secret underground lab, a tank of man-eating sharks and a machine that shoots marshmallows into your mouth! Just watch out for the sea monkeys. Oh yes – and the giant mutant mermaid sea monster. And whatever you do, don’t get trapped in a burp-gas bubble. A feast of laughs and cartoons by the nutty creators of Killer Koalas from Outer Space. Even Roald Dahl can’t make us laugh louder than this.